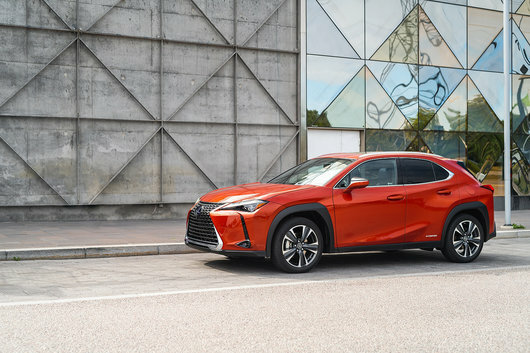 The all-new 2019 Lexus UX will hit the market in the coming months and is already attracting a lot of attention. 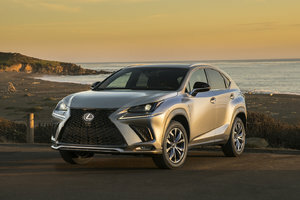 The new Lexus entry-level SUV features a unique silhouette, a versatile, luxurious interior and a choice of two efficient and powerful engines. 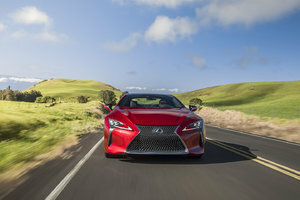 With the UX, we get all the luxury of the Lexus brand while taking advantage of the latest safety technologies from the Japanese manufacturer. There are also two engines in the 2019 Lexus UX lineup including a hybrid engine. The Lexus UX therefore becomes the only model in its range to offer a hybrid engine in its segment. Let's start with that. Right now, the 2019 Lexus UX is the only one in its segment to offer a hybrid engine. 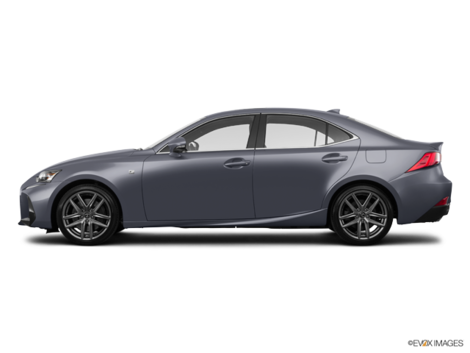 Available in the UX 250h version, it combines an Atkinson four-cylinder engine with an electric motor that powers the front wheels. The total power is rated at 178 horsepower, but it’s the average fuel economy rating of less than 7.0 liters per 100 kilometers that’s really impressive. Available in the UX 250h, the all-wheel drive system of the 2019 Lexus UX is unique. The electric motor takes care of propelling the front wheels only while the gasoline engine deals with the rear wheels. However, the electric motor can power the wheels up to 70 km/h. That means you have all the power you need to get out of a snow bank or climb some steep hills in the city, but when you are driving on clear roads you have the fuel economy of a FWD vehicle. The 2019 Lexus UX will come standard with a host of active safety and driver assistance technologies. At no additional cost, the Lexus UX receives technologies such as Auto Braking with Pedestrian Detection, Adaptive Cruise Control and Lane Departure Prevention. 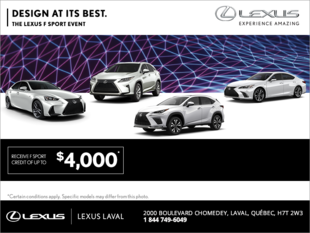 Come meet us today to learn more about the all-new 2019 Lexus UX.